OPINION: Housewives and their work related issue. The land of various cultures and traditions, the land of various religions our country ‘India’ is also a land where we salute our women by saying “Matru Devo Bhava”. Over a period of time, the roles of men and women have transformed drastically in the society. India is no exception to it. Today you can see a lady conductor, driver, mountain climber, marathon runner, bike rider and the list goes on. Indian women have no doubt attained new heights and modernized according to the present society. But the matter of concern is not the various fields available or the experimentation by women, the problem is the number. It's alarming that still, only about 13% of women are working as salaried employees in India. The qualified and worthy ladies sit at home due to various reasons, raising their families. So what's going wrong with these skilled humans who can actually contribute a lot to our country's economy? In a country like India there are many reasons behind this, if we have a closer look a woman gets educated and skilled but when it comes to work there isn't a proper support system. In India, women face problems like improper creches, unskilled domestic help, no proper transportation in many cities, irregular working hours, less remuneration and above all safety. With these factors, family support plays a major role. Still, we have stereotype families where women are brides and then mothers but cannot be working women due to the traditions. A woman has to not only overcome such problems but also the problems of raising children and maintaining a healthy family. Usually, a lady goes sabbatical during pregnancy or after a delivery. It becomes difficult for her when she has to return to work due to the factors not only external but internal too. Like regaining health. The girls in India nowadays are brought up with a thought of working further in life but the ladies are bound by the web of emotional and practical problems. If we talk about housewives I see there are two categories one who want to work but don't know the avenues second who want to do something but aren't skilled enough or haven't realized their talent yet. Let's talk about the first kind, there is an engineer but she doesn't know where to find flexible work so that she can have a decent start. A lady with a flair for teaching has to toil to get a good training certificate so that she can work with a good school. A former national sports champion doesn't know a good academy where she can train kids to get a medal or at least stay fit. An MBA graduate sits idle as the companies want full-time employees. A trainer for soft skills or technology is asked for 9 working hours a day. Many a time without providing any transportation facilities, how do the ladies beat all odds. But as a matter of fact, the work atmosphere is changing with the increase in a number of entrepreneurs who are ladies too. The second kind of women who didn't pay much attention to acquiring skills during studenthood is a majority. After getting married though they want to work they aren't skilled enough and there are few opportunities to acquire competitive skills too. 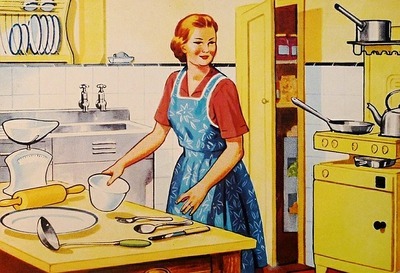 Whatever may be the reason housewives not contributing to economy is a major concern. The time has come when a lady has to understand that using one's skills effectively to improve the quality of life is the need of the hour. A housewife has to buckle up and understand that not working doesn't give her much pleasure either. Time management, management of family members and self-management are a part of precious life obtained and one should contribute to the society by being a helping hand. Be it in the form of a service provider, a part time employee or an entrepreneur. Education isn't the source of earning alone but for a better understanding of life and liberating oneself for the betterment of society. So a lady staying at home who turns her children into responsible individuals should take out some time to upgrade the society by contributing her share of work, be it by being a psychiatrist, gynaecologist, teacher, lawyer,maid or civil servant, fashion designer, interior designer, baker, teacher, NGO worker, etc. So dear housewives, you are not doing anything wrong but there are many things to be put in the right place which will give you that self-respect and satisfaction too, you are yearning for. Become a Teacher-Partner or check Career options with PlanetSpark.